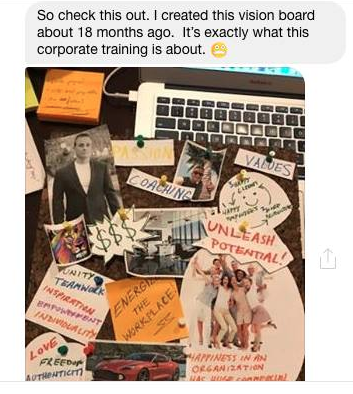 Ready to expand the impact and influence of your DREAM BUSINESS then check out our Resource Room for teaching tools, done for you strategy, tips, and ‘cheat codes’ to help you amplify your mission and message. ✔Your no B.S. ways to reach your PAYING people! The secrets to hyper-productivity that will supercharge your income, WITHOUT being chained to your computer. My exact 5 minute Power Routine for success AND how you can add it to your day, today! which is simple and necessary THIS MONTH. Exclusive insight into HOW speaking gigs will catapult your big mission in life and allow you to charge more for the skills you already have. What a MEDIA KIT really is, and how you can create one this week to set you apart from every other leader. Specific resources to find real events in your area and abroad, tailored to your niche. ✔️How to create your own GROWING Facebook group, for free! ✔️How to use other groups to actually get results and interested clients. ✔️The secrets to hacking the algorithm and winning perfect followers. ✔️How to share value that people will ask for more of! There’s a proven, step by step formula to integrate your personal mission, dream life “non-negotiables” and your income goals into a priceless offer that people are going to be lining up to buy! We’re talking legal resources, financial advising, payment processing, contracts, email automation, graphic design— you name it! How to create your own GROWING Facebook group, for free! How to use other groups to actually get results and interested clients. The secrets to hacking the algorithm and winning perfect followers. How to share value that people will ask for more of! Hanna Hermanson has connected nearly 1,000 millennials, and helped them create and monetize their passions. Join her, here. Read all about the journey into my dream life and a thriving online business. ✔️A step by step game plan to create a thriving business and community you love. ✔️A simple guide to create your business model. ✔️The exact templates you need to make relevant connections in your field, and to be featured in major publications. ✔️The mindset tools you need to keep your self-improvement simple, constant, and powerful. ✔️No “fluff”. This book is full of action steps, worksheets, and tangible things you will want to start right away! ✔️To learn how to use your current platforms and social media channels to establish your expertise! You are meant to make BIG impacts in this world. Schedule your FREE Dream Life call today! After that, we will personalize a plan that fits your real life budget and dream life goals.